"Safety & security first: e-Court uses an impressive set of security measures". e-Court has taken all measures to safeguard information. 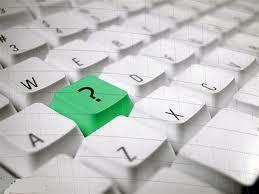 The website is heavily protected like internet banking with leading banking institutions. A SSL Digital Certificate by GoDaddy is installed on a web site, users can see a green padlock icon in the command bar. SSL certificates build on the existing SSL certificate format, but provides an additional layer of protection in a strictly defined issuance process created to ensure that the certificate holder is who they claim to be. View Video. All data traffic between your PC and the servers of e-Court is encrypted using SSL encryption technology (2048 bit RSA encryption). This means that all information on the Internet going (such as passwords and financial data) are protected by "intercepting the traffic on the Internet." The servers of e-Court are of the best brands and stand behind an advanced Base Wall firewall to avoid unauthorized access via the Internet. Because the servers are used to host e-Court, the firewall is so strictly configured that virtually all unwanted traffic is blocked. What then would give Katsh and Rifkin the idea that total online or even partial online ADR is a practical method of conflict resolution? To a great degree, their premise is that if a conflict is due to a dispute that is related to an e-commerce practice, that there is no reason why a resolution cannot be developed in an online environment. There were many that even as little as five years ago, felt that the World Wide Web was just a passing fad, and that it would fade out, in favor of regular physical commerce. There are very few who believe this result will actually happen anymore. The WWW is now so deeply entrenched in societal interaction, that it is almost hard to imagine that it will just fade away. It is in a sense, analogous to thinking that the fax machine or the telephone will be just a passing trend. Obviously, virtually all people now recognize that these innovations are here to stay. So too, is the InterNet. In their book ODR is illustrated as a logical outgrowth stemming from the same reasons why the InterNet is not just a passing fad. The advantages gleaned by individuals from the use of the medium are just too significant to envision its disappearance. While it is true that only 10 years ago, the InterNet was mostly a tool to allow some basic communication and also information gathering, it has now become a major factor in commerce in the world. People can now do business with others all over the world, merely by a few touches of their computer keyboard. If they can do business in this fashion, then why should it not be feasible that they can resolve disputes in the same manner? While there are already a small group of ADR professionals who use e-mail as an adjunct to more traditional ADR techniques, Katsh and Rifkin introduce a new concept. They propose that the InterNet, and more specifically, software technology and development can act, not only as a medium for ADR, but in fact, can augment the process of ADR. They use the term, �The Fourth Party� to illustrate their point. The authors were fortunate to have been involved in the early development of the eBay system for dispute resolution. This exposure to this development and evolution gives them a unique perspective in regard to the concept of ODR. That perspective embodies the idea that technology can act as another assistance, if you will, to the mediator or arbitrator in resolving disputes. As a most modest example, the use of the �blind bidding� process is given. In this process, the dispute involves quantifiable differences on each side of the dispute. If that quantifiable factor is money for example, then a software system can be developed, and has been, to allow both parties to use the computer as the mediator, in that they both propose a settlement number, with the understanding that if the two sides propose a settlement number which is within say 30% of each other, that the system will then consider the dispute resolved, and both parties agree to �split the difference� between their respective offers of settlement. This type of software is relatively easy to develop and the process can be virtually totally automated. Both sides propose a settlement figure, but neither is given the information with respect to what the other side offers. If they happen to be within 30% of each other, then the system declares the dispute resolved and reveals the final number at which this resolution has been achieved. However, the authors do not stop at this point, they push the limits of the conception of online dispute resolution. They suggest, and have significant actual real world experience in showing that software can be developed whereby a mediator can use the tools of the system and his skills in order to mediate or arbitrate a resolution to many conflicts. In this process, Katsh and Rifkin indicate that there are 3 critical factors that govern the potential success of any ODR system. These factors are �Convenience�, �Trust� and �Expertise�. If these three factors meet the threshold levels of the disputants, then ODR is a viable method of dispute resolution. Also, consider disputes where the parties are separated by extreme geographical distances. For example, say one party who resides in New Jersey buys something from another party who is in California. Or even more extreme, say one party in Nebraska buys something from another party in Hamburg, Germany. Well, the idea of these parties coming together in a single room to mediate their dispute is not truly feasible, especially if the item in dispute is say a $1000 item of even smaller. 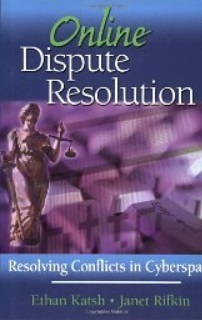 But, the resolution may be eminently feasible in the ODR environment, where a web site acts as a �virtual mediation environment.� In this environment, the factors of Convenience, Trust and Expertise are essential to the success of the resolution of the conflict. The authors include multiple examples of real life uses of ODR to resolve real world conflicts and come to enduring and satisfying conclusions. The book may be prescient in the manner in which it presents the concept of ODR. While it may be true that certain methods and factors present in face-to-face mediation are not reproducible in an ODR environment, it is also true that the ODR environment lends itself to new, unique and beneficial elements that can in many cases, more than make up for what is not present in that environment. As e-commerce and InterNet activity becomes more and more a �way of life� in the world, so too, it is logical that ODR will become more and more a convenient, trustworthy and expert method of conflict resolution. The reader will find that the approach taken by the authors is sensible and reasonable. While it may be true that all present day ADR practitioners are not suited for this type of conflict resolution, it is also most likely true that many will find ODR to be even more effective as a method of conflict resolution, provided that the basic elements of the conflict lend themselves to this approach.